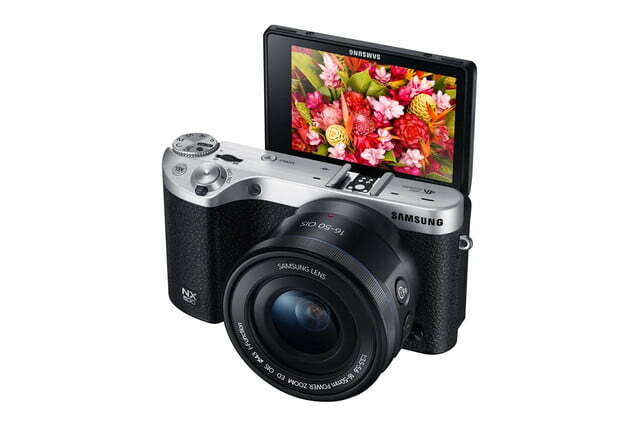 Update on June 26, 2015: Samsung is releasing a firmware update that adds several enhancements to both photo and video modes. Autofocus gets improvements in low-light conditions, backlit and spot light, corners when using 16-50mm PZ lens, face detection, and movie recording. Other photo upgrades include: “Zone AF” mode; increased size of AF to 5 steps in AF “Area Size”; increased Face Detection Area of the sensor; four presets (Cinematic, Memories, Gorgeous Night, and High Speed); “Selfie as Flipped” mode; improved “Selfie” AF function in Timer mode (Continuous AF is default); and simplified EXIF data preview. For video capture, Samsung added a “Pro” mode that increases bit rates for movie size and quality up to 70 Mbps (movie recording time changes to 25 minutes at Full HD 60p/50p). 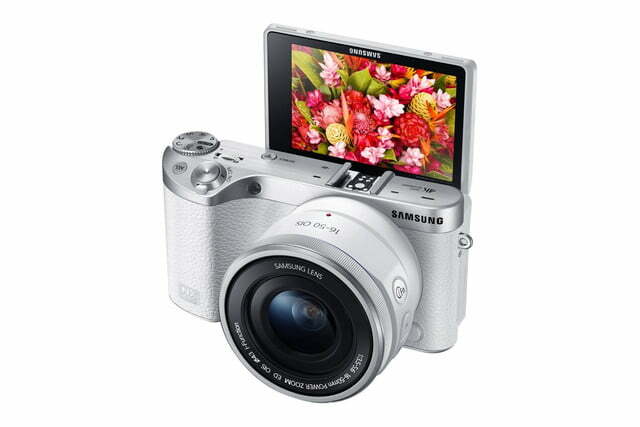 The NX500 now has a larger sensor readout data size with improved Full HD quality up to 60p. After you’re done recording, the camera will remain in standby (before, the camera would return to photo-ready state). The Movie Size Menu now has quick access to 1280 x 720/120p mode, with sound recording. In 4K video, you can capture individual 4K frames and scan forward and backward with precision, with embedded EXIF data (JPEG). 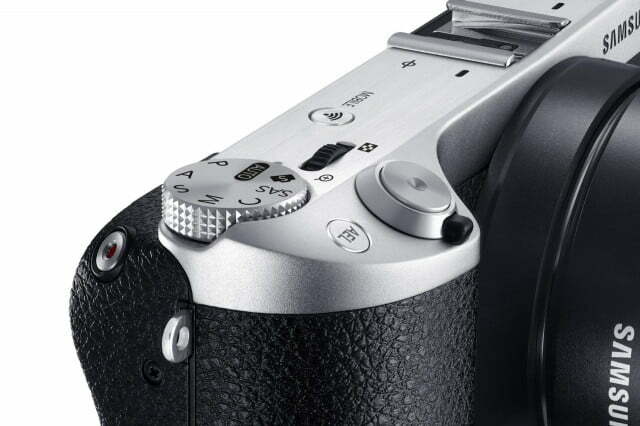 And, there’s a new MF Responsiveness mode that lets you set low, medium, high focus angle while in manual focus. For more on the NX500, check out our review. 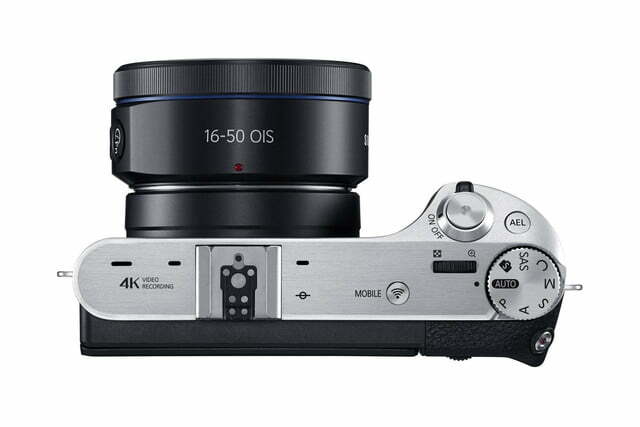 Recently announced cameras and camcorders are indicating a developing trend: 4K. Of course, 4K isn’t new, but shooting in 4K used to require expensive, pro-level equipment. 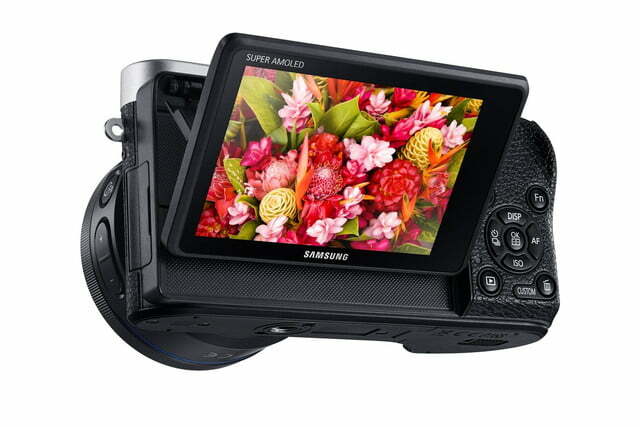 Now, we’re beginning to see the feature trickle down to cameras and camcorders that cost less than $1,000. The latest entry is the new NX500 from Samsung, a compact mirrorless camera that’s capable of shooting both cinematic 4K and ultra-high-definition (UHD) 4K. Designed for step-up users or enthusiasts who want something smaller than a DSLR for everyday use, the NX500 is the successor to the NX300 (one of our Editors’ Choice cameras of 2013). But it’s more than an evolutionary camera. In fact, we think of it as a kid brother to the new enthusiast NX1 (our favorite camera of 2014), which also shoots 4K and shares the same sensor. 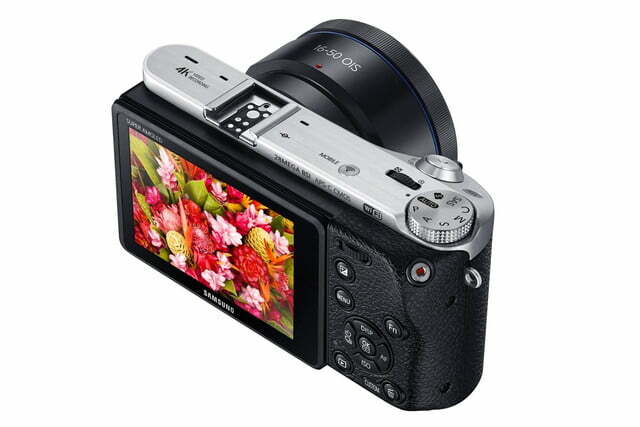 The NX300 touted its ability to capture 3D images and videos, but we’ve seen where 3D is going – nowhere. With TVs going UHD, 4K has stronger lasting power; even if you aren’t ready for it, shooting photos and videos in 4K help you future-proof your stuff. The NX500 retains a similar form-factor as its predecessor, but it has a redesigned grip with a sculpted-down front. Besides 4K, specs have also been greatly enhanced. 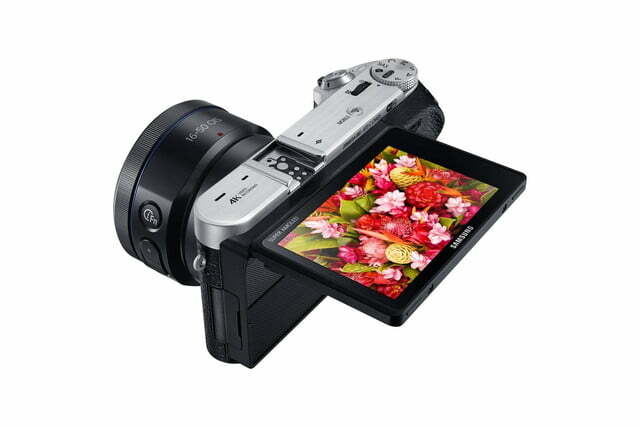 It uses the same newly developed 28MP back-illuminated APS-C sensor and DRIMe V image processor that are in the NX1. 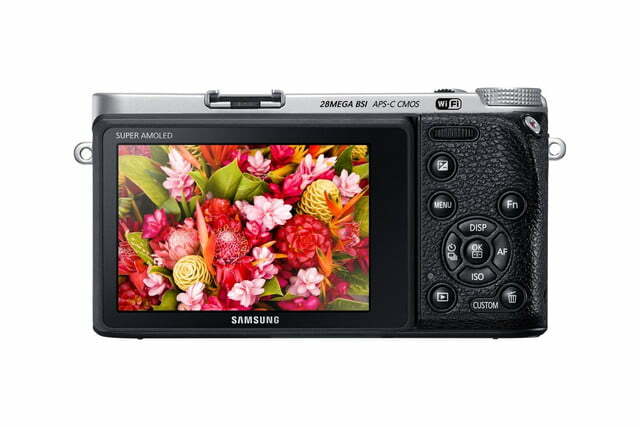 It has a burst speed of 9 frames per second (fps), native ISO range of 100 to 25,600, and shutter speed of 1/6,000th/second. 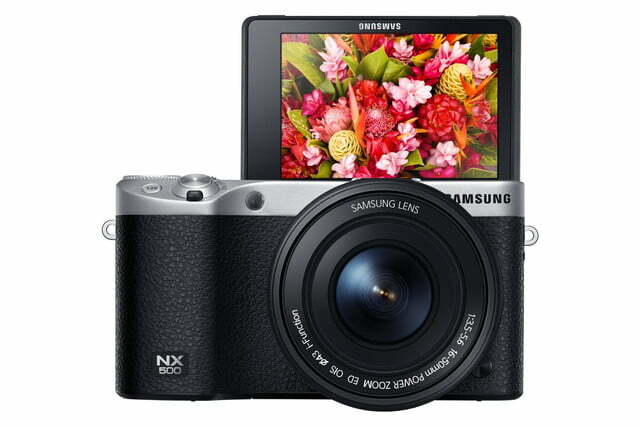 It also has the Samsung Auto Shot feature introduced in the NX1, which helps you quickly capture a fast-moving object like a pitched baseball. Performance wise, the NX1 is still stronger (and there are more features geared toward videographers, like headphone and microphone jacks, which may be future add-ons for the NX500), but Samsung told us to “expect this to be a crazy performance piece.” If the experience is as good as the NX1’s, Samsung could possibly have another hit in his hands. The camera records in the HEVC Codec, a compression technology that allows for 4K and UHD recording to high-speed SD cards, and smaller file sizes than the H.264 format that’s commonly used. You can also create UHD time-lapse videos. Cinema 4K is recorded at 24 fps and UHD at 30 fps. The HDMI port, however, can only handle Full HD output – a concession Samsung had to make. Other features include a flip-up, 3-inch Super AMOLED touch display, and Wi-Fi, Bluetooth, and NFC wireless connectivity. 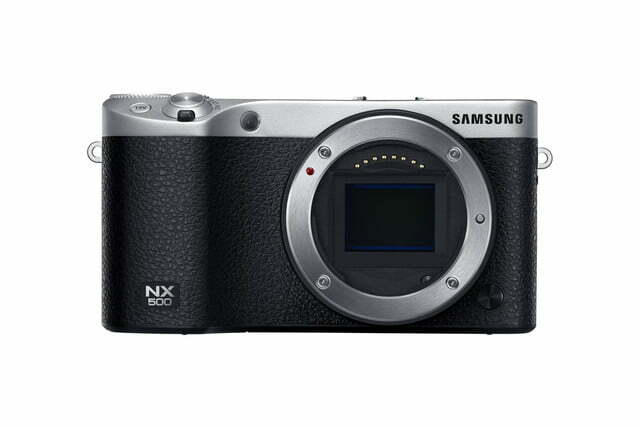 Due to the changes in how Adobe is packaging its software, the NX500 will not come with Lightroom (Samsung will provide basic RAW conversion software). 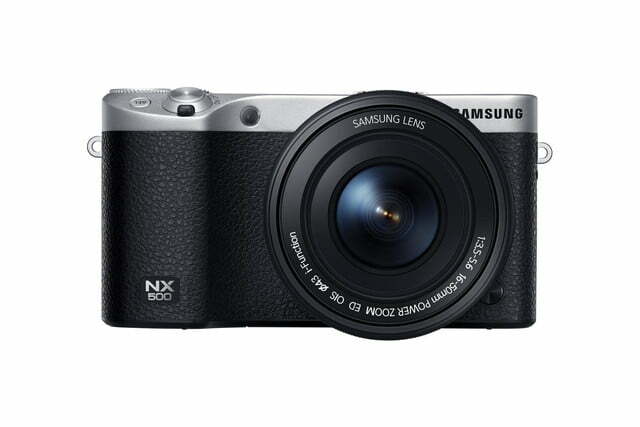 The NX500 comes in black, white, and brown. 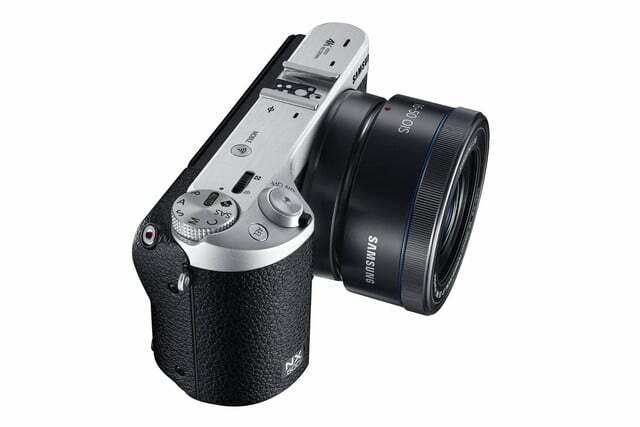 It will retail for $799, and include a 16-55mm kit lens. 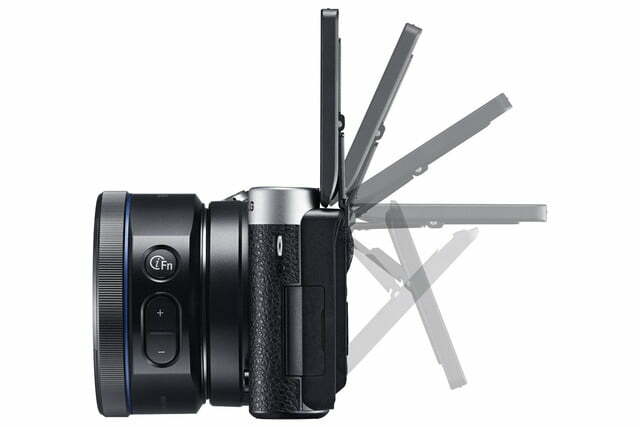 Expect this camera in March 2015.